It’s 2015! I’m launching a couple new features here on Gazette665. #1. The History Learning Center Students and Teachers have been asking for booklists and resources. Well, your wishes are about to come true. I’ve complied lists of my favorite books (history and fiction) from all eras of American History and it is available for FREE! My goal is to provide helpful resources for students, teachers, and folks who (like me) just love history or a good story. #2. Holiday History & Craft This feature is geared toward younger folks and hence these posts will take a slightly different tone in writing style. Parents (grandparents, siblings, anyone) do kids ever ask you: why do we celebrate this holiday? Answers are coming to your inbox (if you’ve signed up for blog post emails). Read a short history of some of the most popular holidays throughout the year. Look for a post and craft idea each month. Holiday Crafts will be shared on the first Monday of each month. #3. Gazette665 on Facebook Yep, I finally bit the bullet. You can follow Gazette665 and all the Historical Information and Inspiration on Facebook. Come on over and LIKE it today! #4. Gazette665 on Pinterest After hearing about this network, I decided to jump in and share photos I like, inspiration for stories, and other fun stuff. Come take a look at the “boards” of our favorite things! Find some historical inspiration. Wow…Four new features! Yes, yes, yes! Gazette665 is growing and this is going to be an exciting year. Find more Historical Information and Inspiration at your fingertips when you need it. 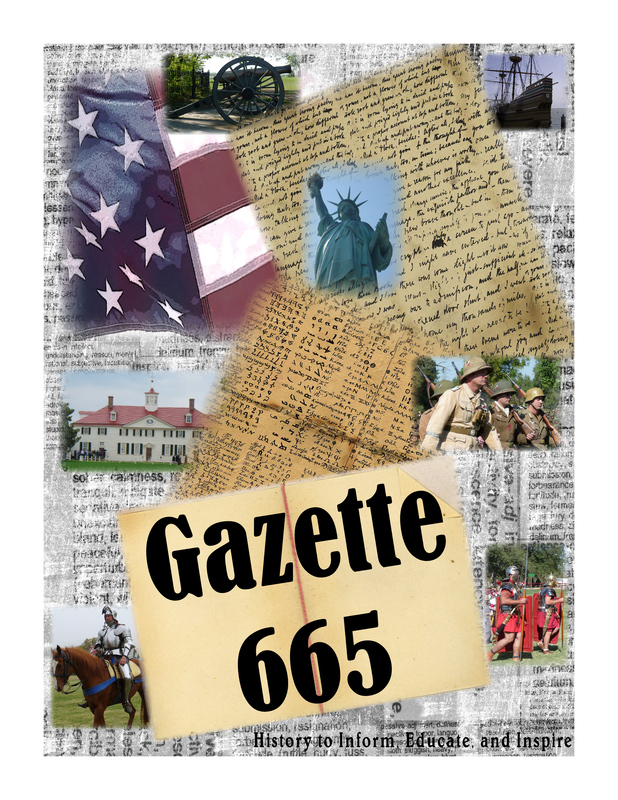 Gazette665 is only a click away from helping you with research, trivia questions, or argument winning. 😉 And, as always, drop a comment or send a request if you have thoughts, concerns, or requests.